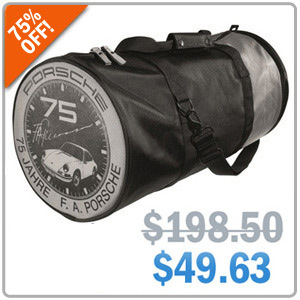 Porsche Sports Bag- Now 75% Off! Take 75% off the official 75 years F.A. Porsche emblem and autograph print sports bag. Large enough to carry sports gear and comes with a removable shoulder strap. Use Promo Code POR75 at Checkout!